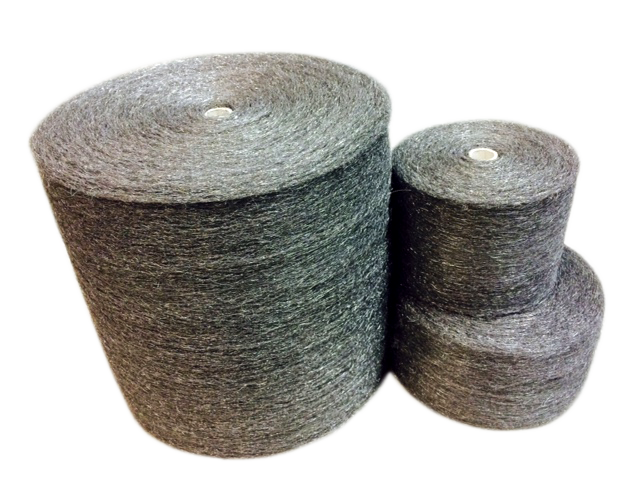 Steel wool rolls or steel wool fibers are commonly used for METAL SEPARATION to lower or separate GOLD, SILVER, NICKEL & COPPER and other heavy metal ion contaminants. Common uses are in discharge water, fixer solutions from X ray film processors, and spent baths from Electroless Plating operations. Since steel wool is made from low carbon steel and has a high surface to weight ratio it is an excellent choice for metal separation and recovery, also known as the metal ion exchange process. Each Cartridge is evenly wound with precise tension to a specific density in order to create an even flow and prevent channeling. Available in all grades #0, #1, #2, #3 or #4. Choose from cardboard or PVC core or without core. We offer standard sizes as well as custom dimensions to fit your existing equipment or we can even develop a cartridge for your application. 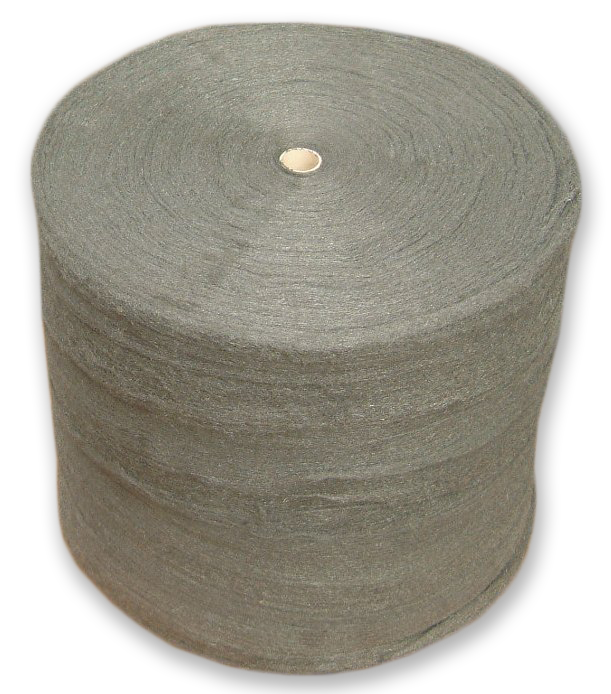 We also offer chopped steel fibers for higher surface exposure and improved flow. From the company whose history in the metal wool, cleaning and finishing business goes back nearly a full century. 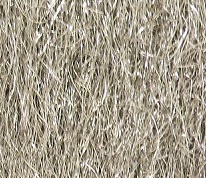 Steel wool and Stainless Steel Wool produced into a Needle Felted form called TEXSTEEL, is widely used in many industrial applications for High Heat Insulation, Industrial Filtering, Noise Dampening, Coalescing Filter Media, Gas turbine generators, high temperature vessels, platen presses and oil mist separators. Steel wool can be used in conjunction with wire mesh for optimum results. Carbon Steel — for normal abrasive or filtering usage where heat and rust are not problems. Stainless Steel, Type 434 – Use stainless steel wool for excellent corrosion resistance in wet or high humidity areas and high-temperature applications. Proprietary process that firmly interlocks thousands of metal fibers into blanket form for various industrial uses. 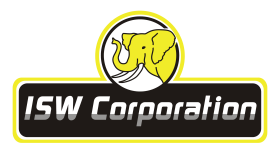 Strong and durable blankets are highly porous and resilient to resist deterioration by heat or mechanical pressure. 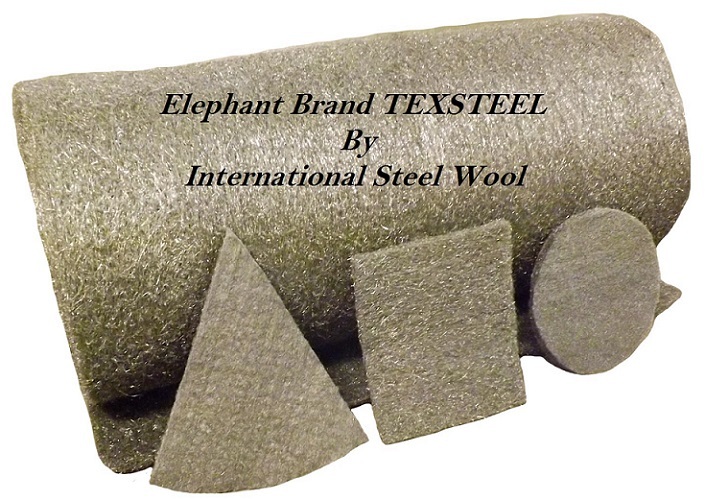 TEXSTEEL makes possible fabrication of new products in which metal wool fibers offer advantages over other fibers. Density can be controlled; greater densities can be achieved in less space. LENGTH: Limited only by weight. 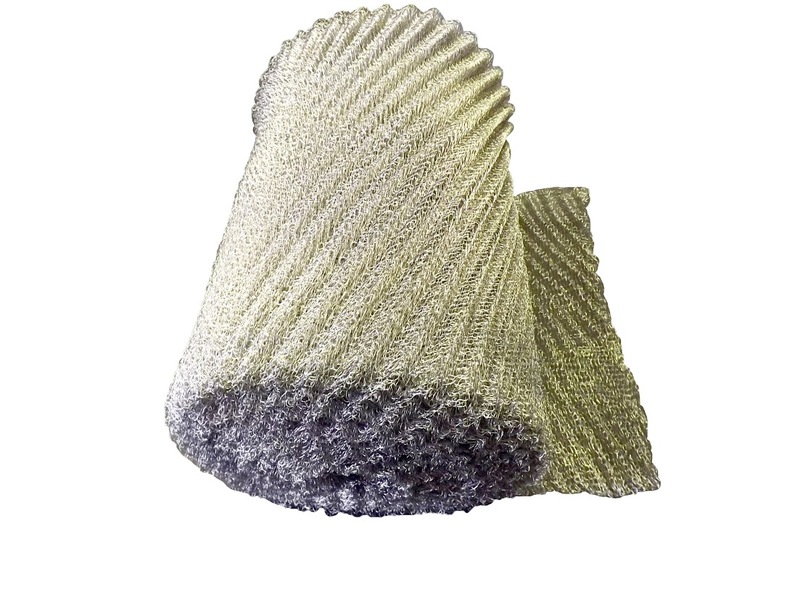 KNITTED WIRE MESH BULK ROLLS or FILTER PADS are typically made from a single or double wire that is knitted to form a spring like & flexible wire mesh of interlocking loops much like hockey socks or sweaters are made. 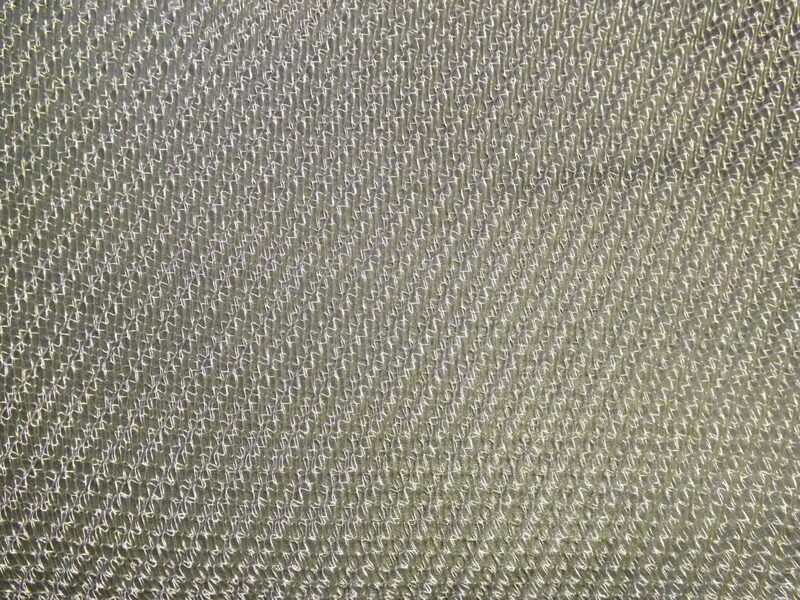 Knitted Wire Mesh is a high strength and flexible material that has unlimited uses and applications in many industries such as gold recovery and industrial filtration.